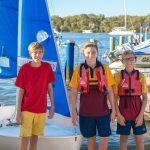 The Junior and Youthsail Sailing program at Noosa Yacht & Rowing Club is continually growing from strength to strength. 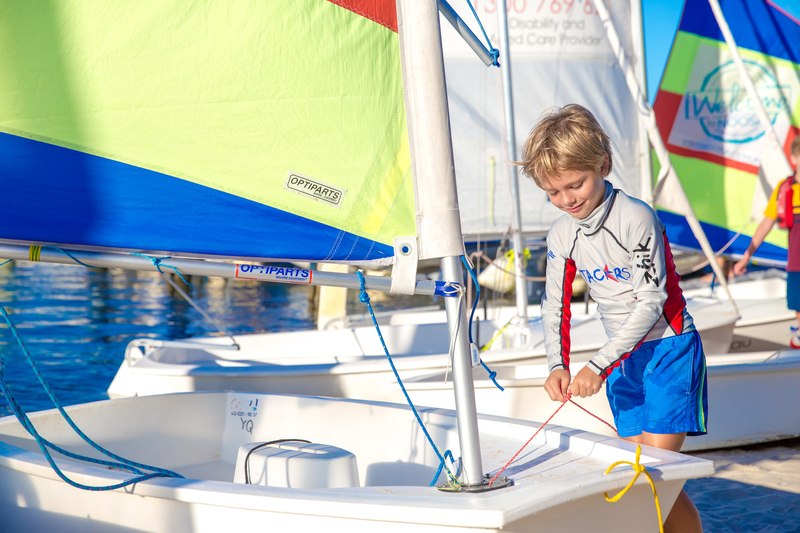 The NYRC sailing programs now deliver sailing to more than 300 kids and adults each week. 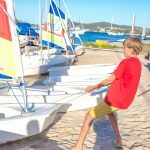 The main objective of the Youthsail program is to introduce sailing both as a sport and a healthy lifestyle to as many juniors as possible. 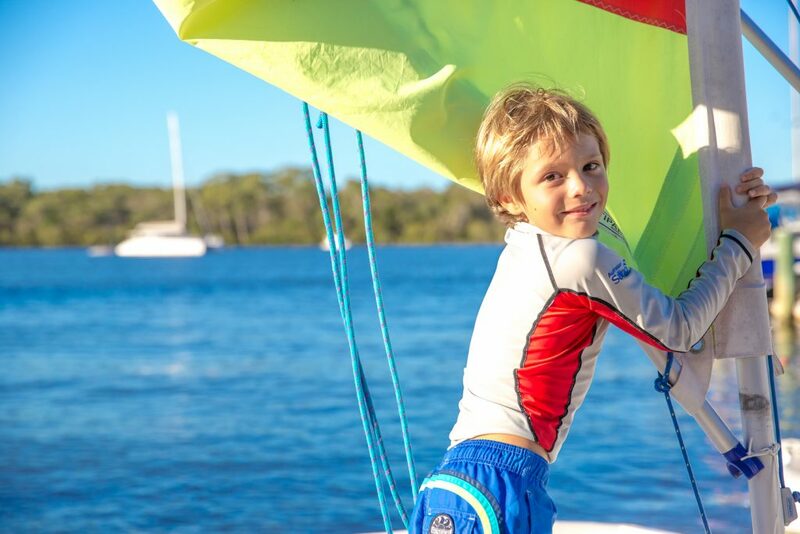 The program consists of several graded stages through which we allow our young sailors to develop their confidence, skills and love of sailing, all the while not forgetting that it is FUN! 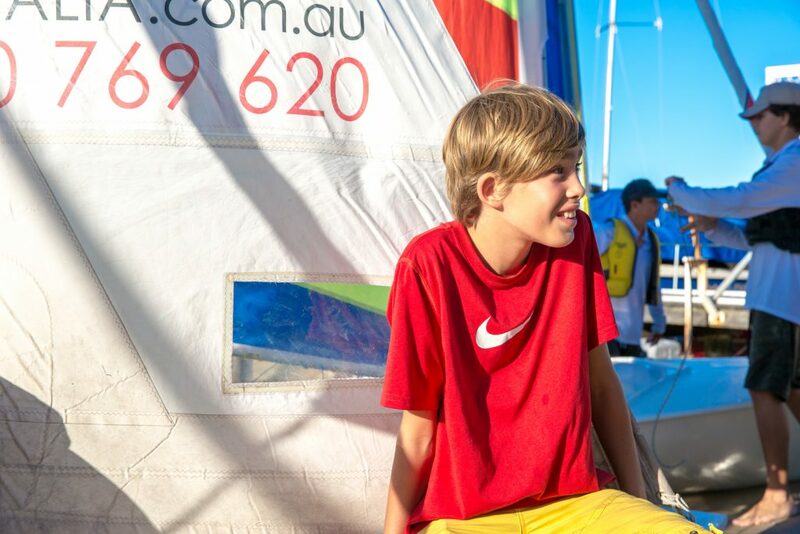 This is achieved using a fleet of sailboats which include Tackers, Vagabonds, Sabots, Lasers and Blazer 23’s. 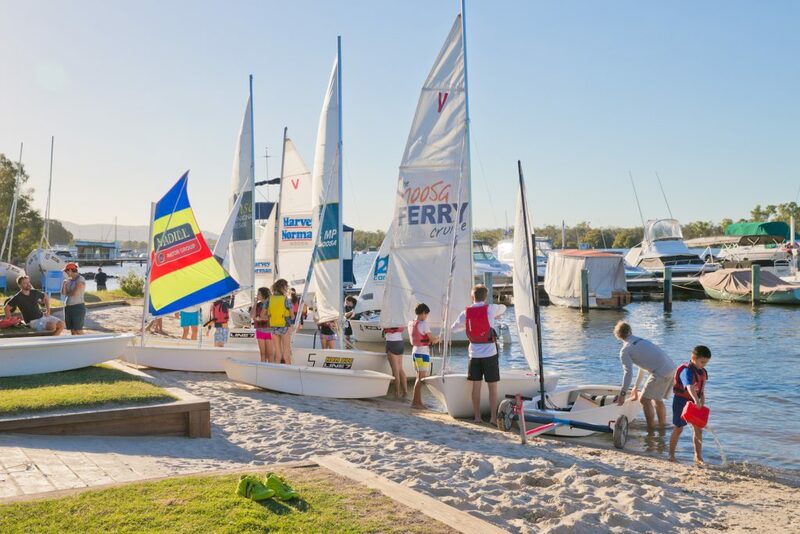 Many of these boats are owned by the Club and utilised by the various programs operated at the club. 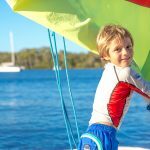 Anyone wishing to learn to sail is welcome to our Club. 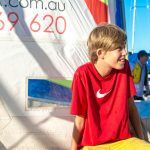 Fees apply for many courses and coaching activities to cover the cost of coaching staff and equipment. These vary from activity to activity and details will be provided upon request. 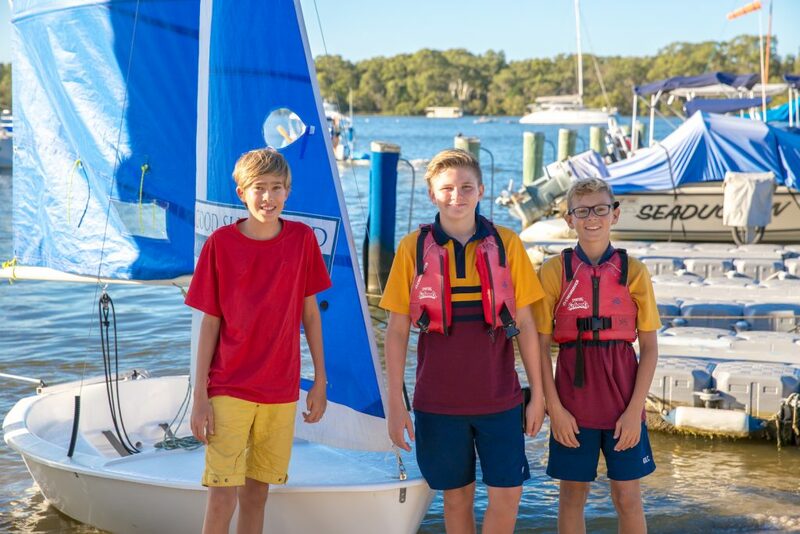 Currently Youthsail offers Racing Squad training on Thursday afternoons (Tackers, Optimist, Open Bic, Sabot and Laser); we host various School group sessions from Monday till Friday during each school term; and Sailability Noosa operates on Thursday mornings from March to September. 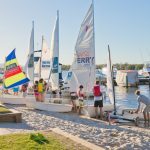 The Blazer 23 Youth Development squad races on Wednesdays (WAGS) and every second Saturday. 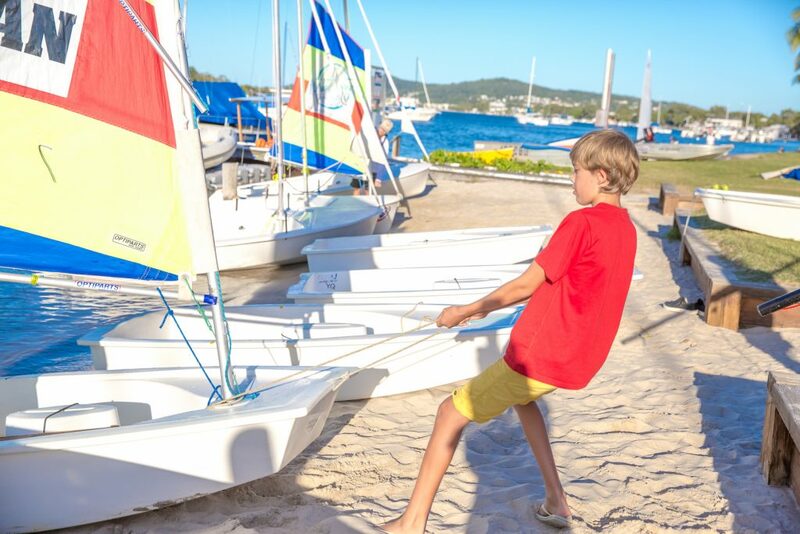 Contact the Sailing Office for more information or to register.